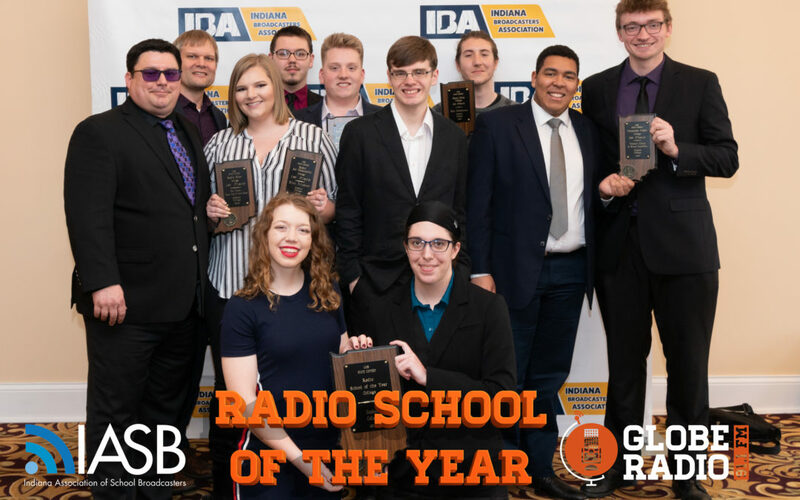 For the fifth time in program history Goshen College was named “Radio School of the Year” by the Indiana Association of School Broadcasters. 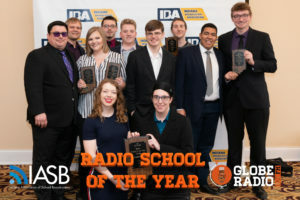 Globe Radio and TV students gathered with hundreds of other college radio and television undergraduates from across the state at the 15th annual IASB Awards Luncheon in Carmel on March 30. Laura Hoover, student station manager. 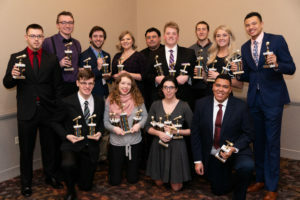 Students from 91.1 The Globe, Goshen College Communication Department’s student run radio station, earned 11 awards, including three first places honors. Globe TV student staff picked up seven awards for their efforts. 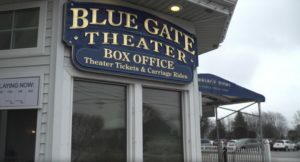 In a separate multimedia website competition, FiveCore Media, the college’s video production company, was honored with a second place award while The Globe earned third place in the same category. This is the fifth state championship for the radio station, joining the winners from 2012, 2013, 2014 and 2016. The five titles is the most by any school since the competition was first held in 2005. The Indiana Association of School Broadcasters (IASB) is the education association of the Indiana Broadcasters Association (IBA). IASB consist of colleges and high schools from around the state. This year’s college division competition had a record number of entries with over 750 individual radio or tv broadcasting pieces submitted. 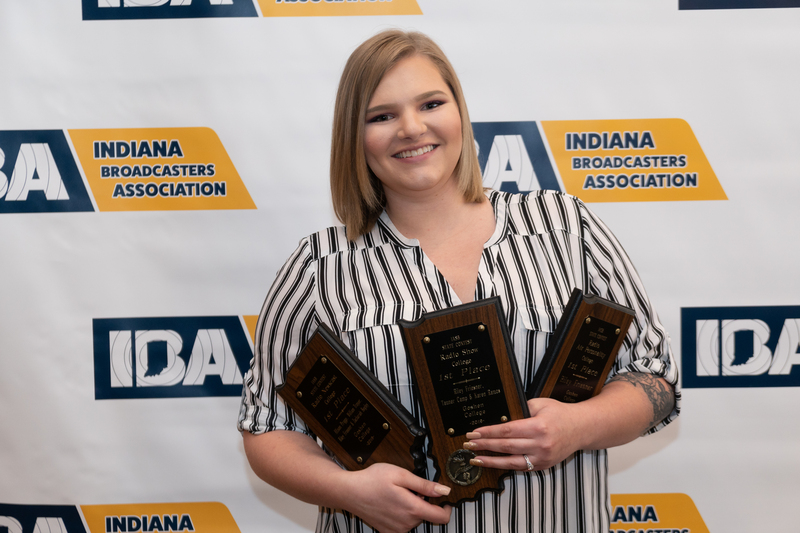 Laura Hoover, a senior broadcasting major from Chesterton, Indiana, collected a pair of second place finishes for Radio In-Depth and Corporate Video. 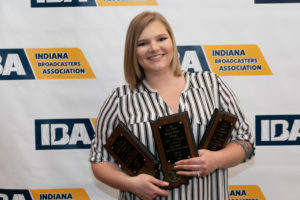 Riley Friesner, junior broadcasting major from Elkhart, Indiana, won first place in three categories: Radio Air Personality, Radio Show, and Radio Newscast. She also earned a third place selection in Photojournalism. Tanner Camp, a junior broadcasting major from Fremont, Indiana, picked up two first place awards: Radio Show and Corporate Video. Karen Ramos, a junior communication major from Goshen, Indiana, was part of the first place team for Radio Show and was also honored with a third place award for Radio Newscast. 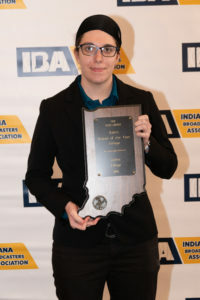 Alyson Prigge, a junior public relations major from Hamler, Ohio, crafted the first place script for Radio Newscast. Ben Hathaway, a sophomore film production major from Goshen, claimed his first state champion award in the Short Film category. William Troyer, a sophomore broadcasting major from Goshen, and Zachariah Begly, a sophomore broadcasting major from Evanston, Illinois, both won first place honors as part of the Radio Newscast and shared a third place award with Gabe Kermode, a first-year broadcasting major from Boulder City, Nevada, for Radio Sporting Event Broadcast. 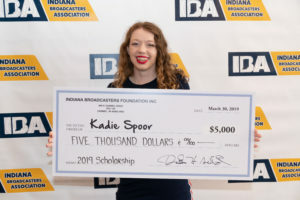 Kadie Spoor, a sophomore broadcasting major from Valparaiso, Indiana, was awarded one of the ten $5,000 IASB scholarships for in state students. Spoor also earned four awards: second place, Radio Show, which she shared with Kermode and Brandon Roe, a sophomore broadcasting major from New Holland, Pennsylvania, second place, Radio Talk Show, third place, Radio Newscast, and third place in Television Copywriting. Roe also collected a second place award in the Radio Interview category while Kermode scored a second place distinction for his Radio News Report. Jeremiah Sherrill, a first-year film production major from Goshen, placed second in the Television Copywriting category and third place in Radio Spot Production. 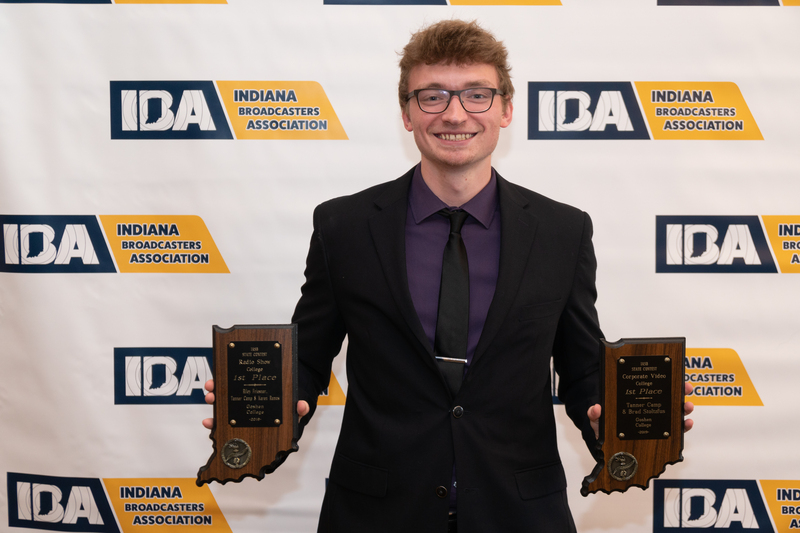 Brad Stoltzfus, a 2018 broadcasting major from Goshen, grabbed first place accolades for his Corporate Video and a third place selection for Radio Spot Production. A trio of 2018 film production majors, Tabitha Immanuel, from New Delhi, India, Riley Mills, Milltown, Indiana, and Tim Litwiller, Peoria, Arizona, earned a second place award for Television Spot Production Station.